Rheinland-Pfalz (Rhineland-Palatine) is one of the 16 states of the Federal Republic of Germany. It has an area of 19.846 square kilometers and about four million inhabitants. Situated in western Germany, Rhineland-Palatine has borders with North Rhine-Westphalia, Hessen, Baden-Württemberg, Saarland, France, Luxembourg and Belgium. Its capital city is Mainz. The largest river flowing through the state is the Rhine, which forms a border with Baden-Wurttemberg and Hessen in the southeast before flowing through the northern part of Rhineland-Palatine. The Rhine Valley is bounded by mountain chains and forms a fascinating landscape containing some of the most historically significant places in Germany. Other major urban settings in Rhineland-Palatine include the following cities: Frankenthal, Kaiserslautern, Koblenz, Landau, Ludwigshafen, Neustadt, Pirmasens, Speyer, Trier, Worms and Zweibrücken. Rhineland-Palz’s culture can be best experienced in its capital city Mainz. Mainz is home to a Carnival, the Mainzer Fassenacht or Fassnacht, which has developed since the early 19th century. Carnival in Mainz has its roots in the criticism of social and political injustices under the shelter of cap and bells. Today, the uniforms of many traditional Carnival clubs still imitate and caricature the uniforms of the French and Prussian troops of the past. The height of the carnival season is on Rosenmontag ("rose Monday"), when there is a large parade in Mainz, with more than 500,000 people celebrating in the streets. Johannes Gutenberg, credited with the invention of the modern printing press with movable type, was born here and died here. 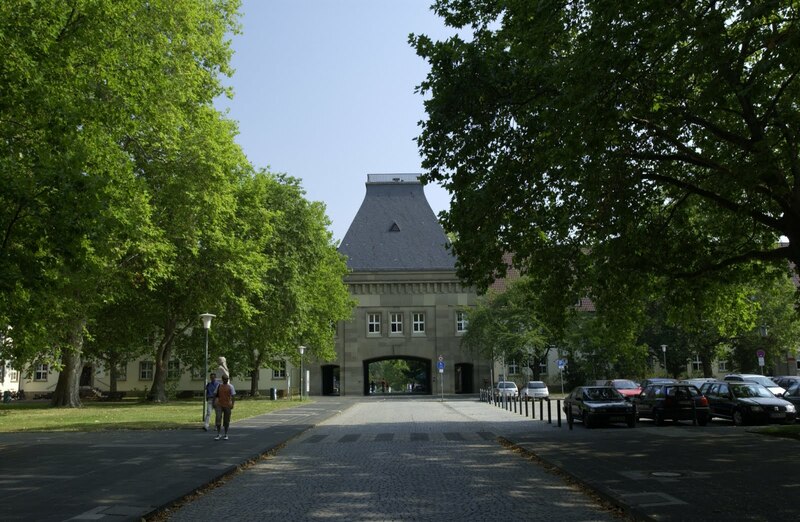 The Mainz University, which was re-founded in 1946, is named after Gutenberg; the earlier University of Mainz that dated back to 1477 had been closed down by Napoleon's troops in 1798. 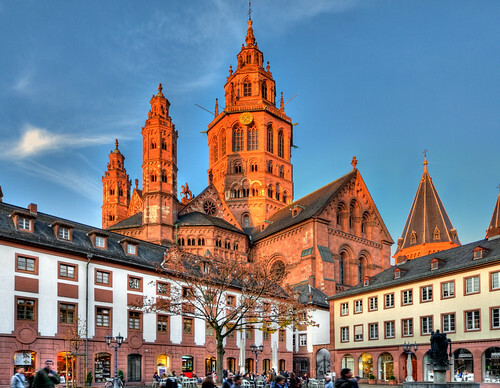 According to legend, Mainz is the supposed birthplace of Pope Joan (John Anglicus), the woman who, disguised as a man, was elected pope, and served for two years during the middle Ages. Stiftung Lesen is a nonprofit foundation for the improvement of reading competencies. Cooking in Rhineland Palatine is very hearty. 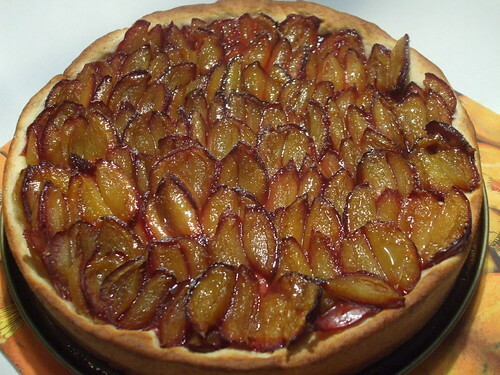 It is made up of the regional cooking styles of Palatinate, Rhineland, and Hessen. Regional culinary specialties include Kartoffelsuppe, Leberknödel, Sauerbraten, Dampfnudeln, Bratkartoffeln, Zwetschgenkuchen, Zwiebelkuchen, Btatwurst, Handkäse, Himmel und Erde. The region is also faemous for its wine: Ahr Wines, Mittelrhein Wines, Mosel Wines, Pfalz Wines and Rheinhessen Wines. Rhineland Pfalz leads all German states with an export rate of approximately 50%. Important sectors of its economy are the winegrowing industry, chemical industry, pharmaceutical industry and auto parts industry. Distinctive regional industries include the gemstone industry, the ceramic and glass industry and the leather industry. Small and medium enterprises are considered the “backbone” of the economy in Rheinland Pfalz. Important companies are: Boehringer, Joh. A. Benckiser, SGE Deutsche Holding, Schott Glassworks. BASF SE is the largest diversified chemical company in the world and is headquartered in Ludwigshafen, Germany. The BASF Group comprises subsidiaries and joint-ventures in more than 80 countries and operates six integrated production sites and 390 other production sites in Europe, Asia, Australia, Americas and Africa. At the end of 2010, the company employed more than 109,000 people, with over 50,800 in Germany alone. In 2010, BASF posted sales of €63.87 billion and income from operations before special items of about €8.1 billion. The company is currently expanding its international activities with a particular focus on Asia. Another important industry segment is the brewery industry, represented by the 1817 founded Bitburger Brauerei. Bitburger ranks number 3 among Germany’s best-selling breweries with annual sales of 3.86 million hectoliters in 2008. The best known product being Bitburer Premium Pils. 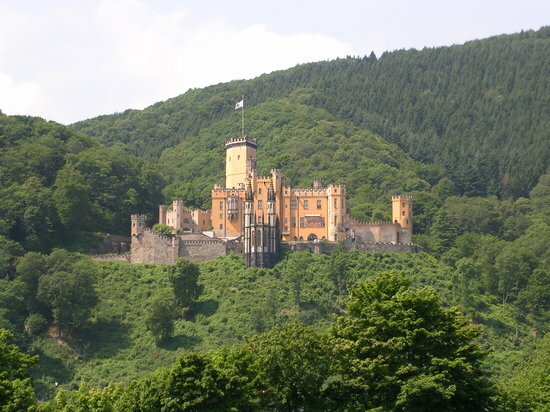 Rheinland Pfalz is one of the most sought after tourist destinations for Germans and foreigners alike. Its rich cultural heritage and its pristine landscape combined with its culinary specialties and its world renowned wines attracts tourist from all over the world. Hambach Castle near the urban district Hambach of Neustadt an der Weinstraße is considered to be the symbol of the German democracy movement because of the Hambacher Fest which occurred here in 1832. The Speyer Cathedral, officially the Imperial Cathedral Basilica of the Assumption and St Stephen, in Latin: Domus sanctae Mariae Spirae in Speyer, Germany, is the seat of the Roman Catholic Bishop of Speyer and is suffragan to the Archdiocese of Bamberg. The cathedral, which is dedicated to St. Mary, patron saint of Speyer ("Patrona Spirensis") and St. Stephen is generally known as Kaiserdom zu Speyer (Imperial Cathedral of Speyer). Pope Pius XI raised Speyer Cathedral to the rank of a minor basilica of the Roman Catholic Church in 1925. The Wilhelm-Hack-Museum in Ludwigshafen is famous for its collection of paintings of modern art of the 20th century. Besides the urban settings of attractive cities with medieval backgrounds, Rhineland-Palatinate has lots of attractions for connoisseurs, but particularly popular are its wines, which thrive in a stunning vineyard landscape. The six regions that make up 'WineLand Palatinate' are Rheinhessen, Nahe, the Ahr, the Moselle and the Middle Rhine. This is a region in which you can enjoy a convivial tasting session at a winery and discover the wines in the places where they are grown. It's all possible in Germany's number one wine region!